The girl said the man tried to pull her into the backseat of his car. 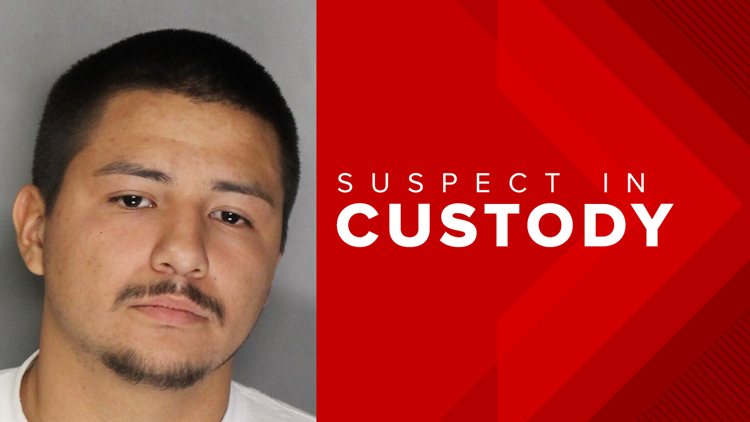 SACRAMENTO, Calif. — The search is over for the man who tried kidnapping a young girl who was walking to school in the Meadowview area early Friday morning, according to the Sacramento Police Department. Joseph Dumarce, 20, was arrested for kidnapping Saturday in the area of Teekay Way and 24th Street. Officers also found the car used during the crime. Investigators say the 13-year-old girl was walking in the 2200 block of John Still Drive around 7:30 a.m. when she said a Hispanic male in a silver 4-door sedan pulled up next to her and asked for directions. The girl told police that as she started to answer him she noticed he was masturbating. She said she then turned away and started to walk west on John Still Drive. While she was trying to walk away, the girl told police the man pulled his vehicle in front of her, got out and tried to pull her into the backseat of the car. The girl said she struggled, managed to break free and ran to school. Police were called out and began searching the neighborhood extensively. They released an image of the suspect's car Friday night and asked the public to come forward with any information.